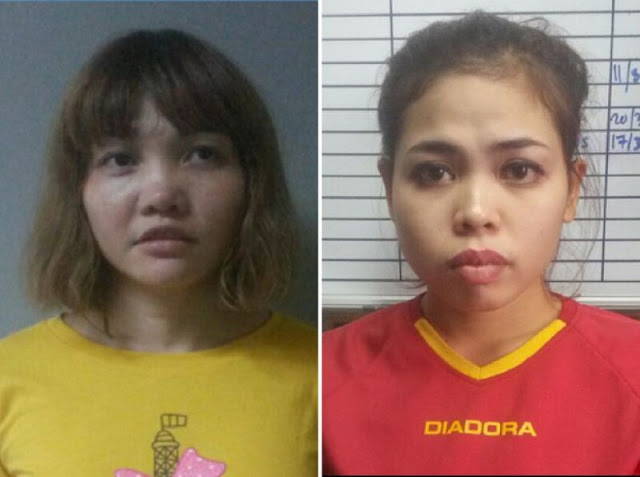 This combination of file handout pictures shows suspects Doan Thi Huong of Vietnam (L) and Siti Ashyah of Indonesia (R), who were detained in connection to the February assassination of Kim Jong-Nam, half brother of North Korean leader Kim Jong-Un. Shah Alam (Malaysia) - Traces of a nerve agent used to murder the half-brother of North Korea's leader were found on the clothes of two women on trial for assassinating him, a chemist testified Thursday. Kim died an agonising death within 20 minutes of being attacked with a chemical so deadly it is listed as a weapon of mass destruction.